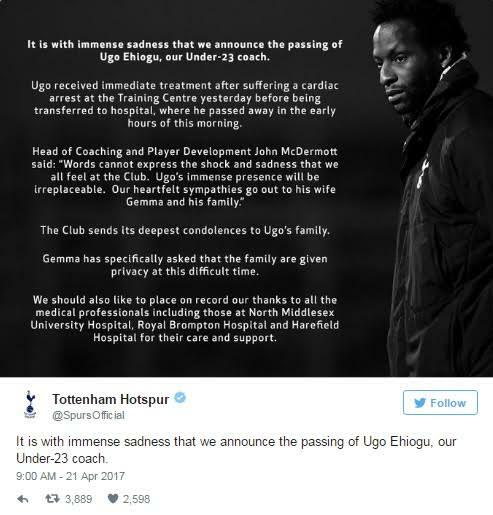 The 44-year-old ex England defender who is currently coach of Totteham HotSpurs’ Under-23 side, collapsed today at Totteham’s training ground, Hotspur Way, after he suffered a heart attack. He was immediately treated by the club’s medical team before being transferred to hospital by ambulance. 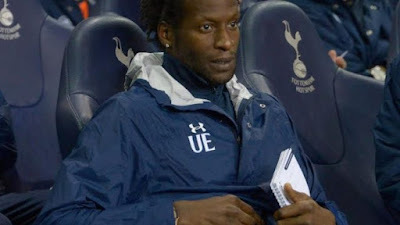 “We can confirm that Ugo Ehiogu is currently in hospital after collapsing at our Training Centre earlier today.Our Under-23’s coach received immediate treatment on site from our medical staff before being transferred to hospital by ambulance. 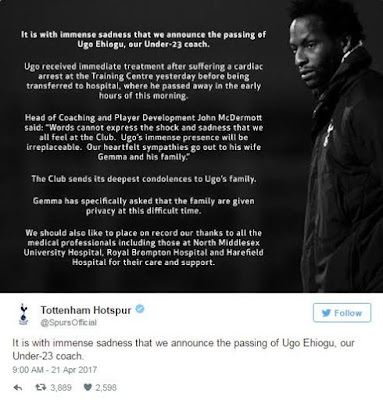 RIP UGO IGBO MAN NIGERIA.